If you are self-employed and you are considering buying your first home or taking some equity out of your current home, then this article is for you. 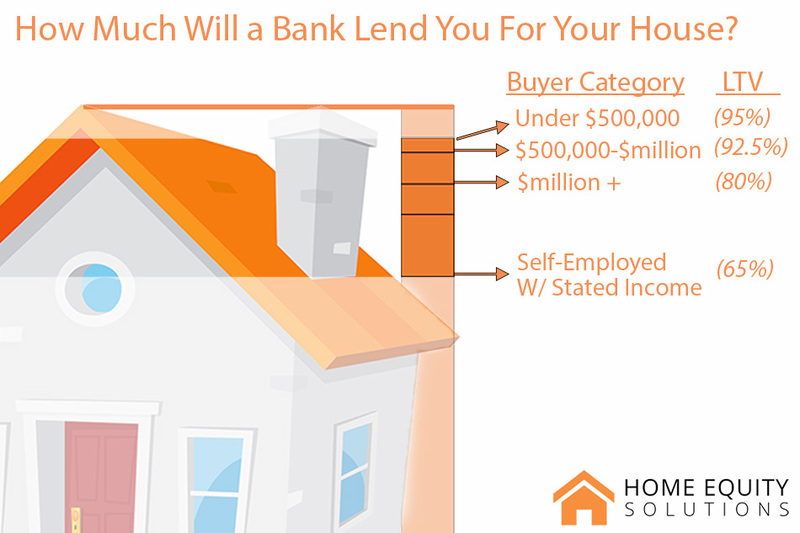 How big of a mortgage (LTV) can you get if you’re self-employed? 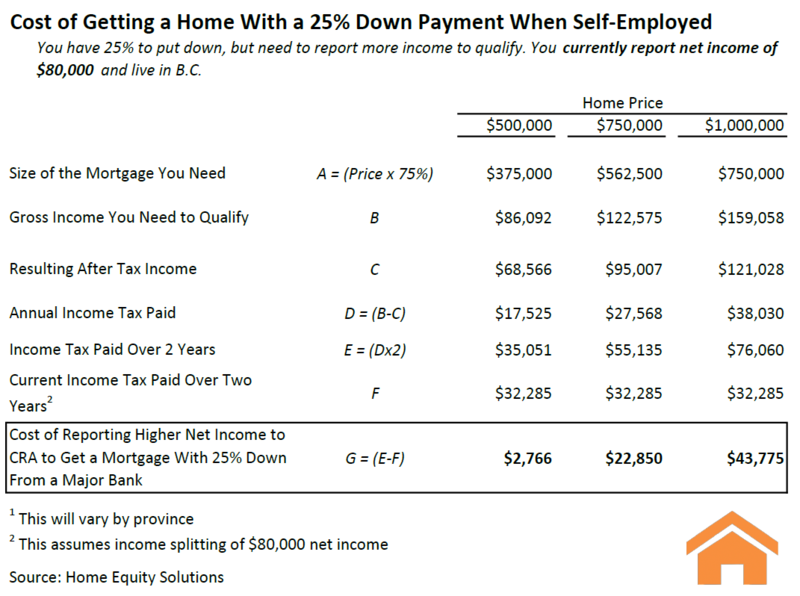 How do you get a mortgage if you don’t have a 35% down payment and you’re self-employed? Will it cost me more to use private lending? Changes to underwriting polices for major banks have made it more difficult for self-employed persons to get a mortgage. Underwriting policies are essentially the rules and guidelines that a bank uses to decide whether or not they provide you with a mortgage and how large of a mortgage they are willing to give you. Major banks’ underwriting policies are dictated by the Office of the Superintendent of Financial Institutions OSFI. This means that they might be willing to lend, but are restricted from doing so. 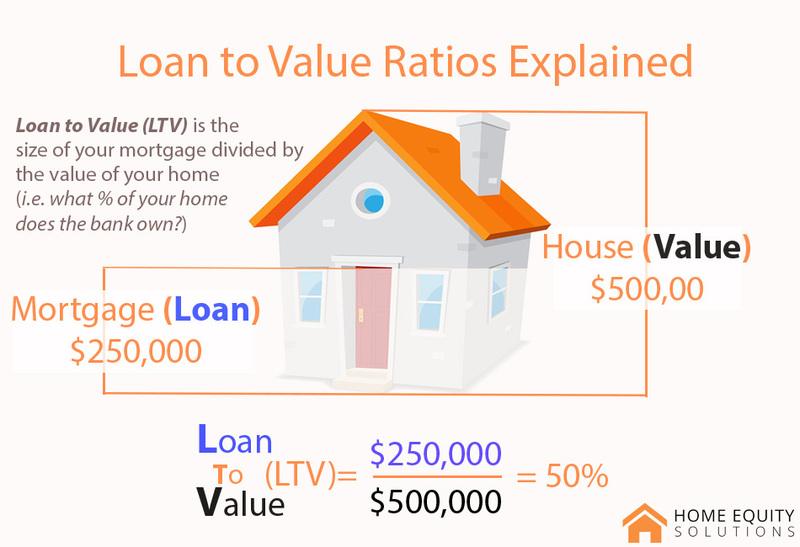 Loan-to-value (LTV) is the size of your mortgage divided by the value of your house. The higher the number, the less of your home that you own and the more the bank owns. The higher the LTV, the more risk the bank is carrying and the tighter their underwriting policies. Conversely, the riskier the bank believes an individual to be, the lower the LTV they are willing to give them (smaller mortgage). So, because banks consider self-employed persons to be riskier, the max LTV a bank is willing to give a self-employed person is lower. Stated income is when you simply state your income. This means that the bank is not using your tax returns (notice of assessments) to verify your income. 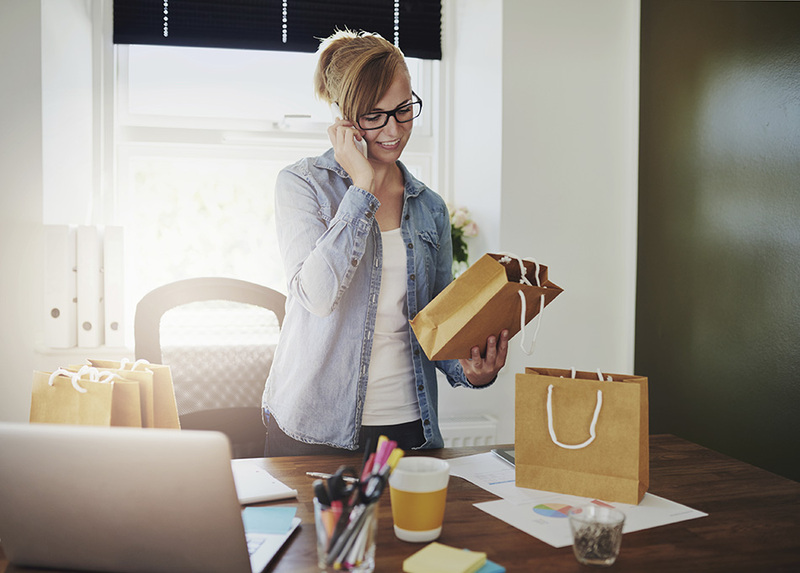 Think of it as how much money you could pay yourself from your business. Stated income is particularly relevant to self-employed persons, as the net income stated on their tax returns is kept as low as possible to avoid taxes. This creates a discrepancy between how much you actually earn and your earnings as reported on your tax return. This is a discrepancy that does not exist for salaries employees. Writing off as much as you can via business expenses is smart personal finance and saves a lot of money, but it also makes it more difficult to get a mortgage through a bank. We won’t bore you with details, but at some point in the not-too-distant past, the OSFI dictated that major banks had to tighten their underwriting policies. Of course, this is only if you use a major bank. Private lenders are not subject to the same underwriting policies and can help you get a mortgage with a lower down payment or take more equity out of your existing house. If you are self-employed and want to put less than 35% down through a major bank, then you have to get your mortgage insured. If you have been self-employed for more than 3 years, then you have to use the income on your tax returns. Essentially, you have to report higher net income to CRA for two years and pay the corresponding income taxes. By paying more to CRA, banks will be convinced that you have more money (I know, but that’s how it is). If you want to qualify for a $750,000 mortgage, you would need a gross income of about $155,000. Essentially, you will have to pay CRA $44,000 so that bank will think you have enough money to afford your mortgage. We don’t recommend this option. If you have a 25% down payment, you can simply save the remaining 10% to get you to a 35% down payment. In the example above, this would require an additional $100,000 in savings. The ease/difficulty of acquiring this is highly individual, so we will leave that to you. Keep in mind though, that in some markets, house prices are already over $1 million and rising, meaning that the required down payment is rising too and quickly. This last option is where we can step in. Essentially, we “top you up” by lending you the remaining 10%. The vast majority of your mortgage is still through your bank, we just lend you a small portion. The beauty of this method is that you can typically roll your private loan into your mortgage after about a year. What option is best for you? That depends on how much you earn, what you are looking to buy, how much you have to put down, how much you are currently reporting on your tax returns, etc. Essentially, the answer isn’t the same for everyone. But we want to stress that major banks are not the only way to get a mortgage and can, in some cases, cost you a lot more. Explore your options, do your research, and find what works best for you. If you want to speak with one of our experts to find what works for you, you can schedule a phone call by clicking here. That depends on a few factors such as what size of a mortgage you are looking for and how much your reported net income currently is. Private lending charges higher interest rates for a mortgage than a major bank, which will cost you a bit more. However, you need to compare this to the money you would have to pay to CRA in order to qualify for a lower interest loan through a major bank. Just as importantly, using a private loan can put you in your home right away, rather than waiting 2 years. In general, the less you report on your income taxes (more business deductions) and the more expensive the home you are looking to buy (or the more equity you want to take out), the more money you can save with private lending. This is because a larger mortgage through a major bank requires a higher net income. This means that you have to declare more income at higher income brackets and pay more taxes. We assume that you split your income and that you are currently reporting $80,000 and live in BC. 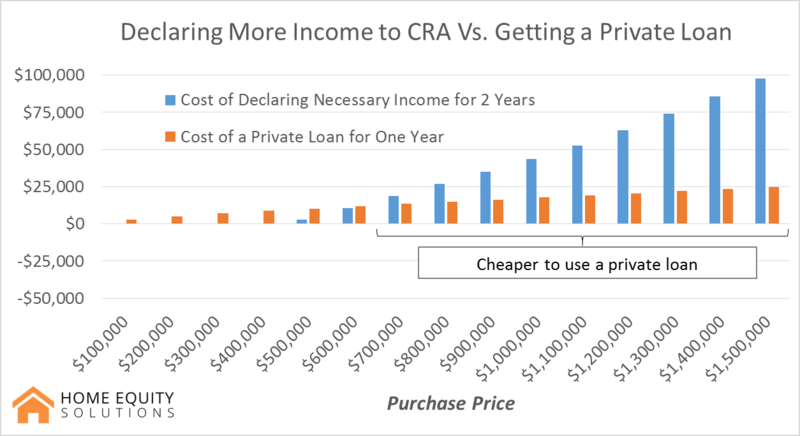 Changing these assumptions will alter the numbers, but won’t really change the end result – private lending is much cheaper than declaring more income on your taxes. We want to stress that the results are dependent on your specific situation and how much you can save will vary. This might not be the best solution for you, but you should look into it so you can find what is. Crucially, if you speak with us and we can save you more money by setting you up with a traditional mortgage, then we will. If you speak to a bank and they can save you money by setting you up with private lending, they won’t. If you would like to speak with one of our experts, we would be happy to arrange a phone call. We are experienced mortgage brokers and can answer all of your questions, whether they be about private lending or traditional mortgages. If you are interested, you can apply for a private loan online. It only takes a couple of minutes and you are under no obligation to proceed.